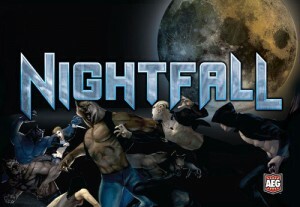 Since I have discovered Nightfall it has been one of the most played games in my collection. 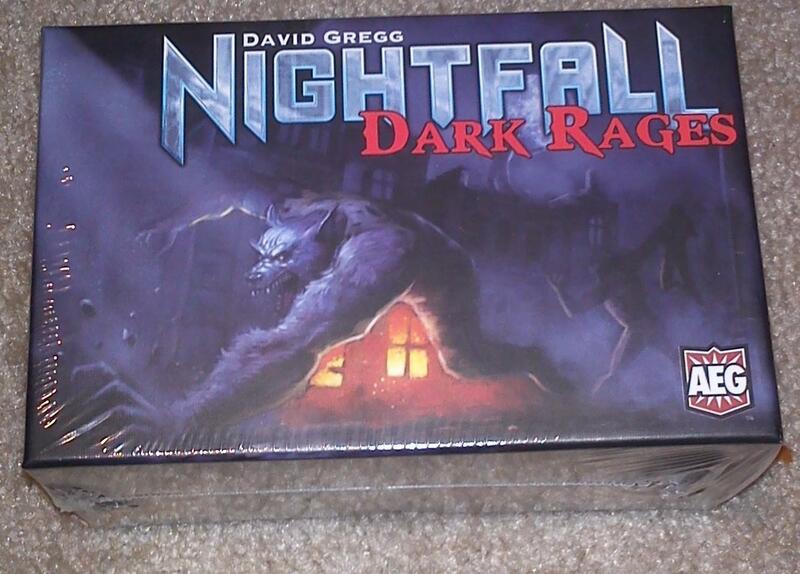 This month AEG has released yet another expansion, Nightfall: Dark Rages. Unlike The Coldest War, Dark Rages is a true expansion and not a standalone expansion so you will need a copy of one of the standalone games (base game, Martial Law, or Coldest War) to play it. Since this is not standalone I will not be reviewing any of the base game features, so if you are not familiar with the game I recommend checking out our Nightfall review first. Since the release of Dominion and the birth of the deck-building genre there have been a large number of deck-building games released. 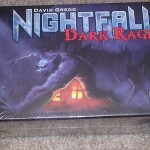 Each game brings their own twist to the table, and Nightfall by the Alderac Entertainment Group has several unique gameplay elements that make it stand out in my mind. 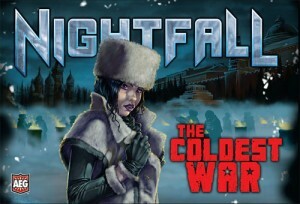 The first thing you might notice though is that Nightfall is based around vampires, werewolves and other creatures of the night mixed with guns in a more modern setting. Note: If you are not familiar with the basics of deck-building games I recommend reading our Dominion review first as that explains the basics of the genre. The initial draw of Nightfall for me was the promise of direct conflict and combat between players. The one thing that I had a problem with in the deck-building genre (and specifically with Dominion) was the lack of interaction between players. In Nightfall players are directly attacking each other with their minions each turn. Added to the beginning of the typical genre turn setup of playing actions, buying, and cleanup is a combat phase. Powered by WordPress v 5.1.1. Page in 1.180 seconds.